Campbell’s® Condensed Chicken broth is made using only quality ingredients. 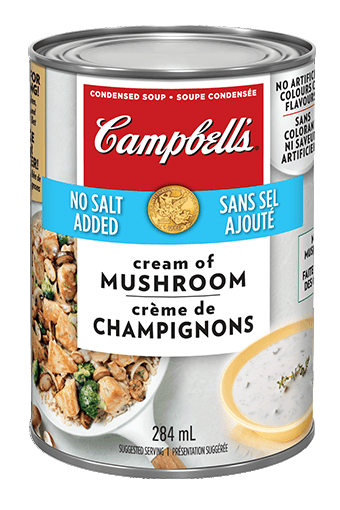 That’s what makes it a pantry favourite for incredibly enjoyable weeknight recipes you can find at CookWithCampbells.ca or as the base of your own homemade soup. BARLEY YEAST EXTRACT, FLAVOUR, SPICE EXTRACT (CONTAINS GARLIC), CARAMEL, BETA CAROTENE.